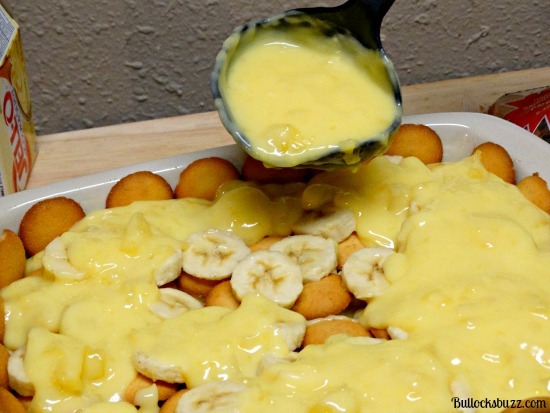 Best Banana Pudding Recipe Ever! 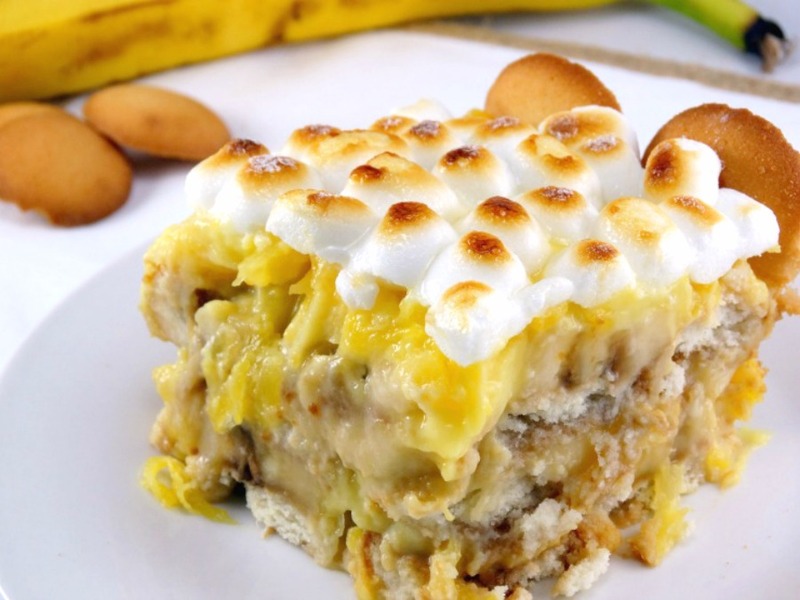 Banana pudding – it’s a Southern classic that has grown into an all-American family favorite. 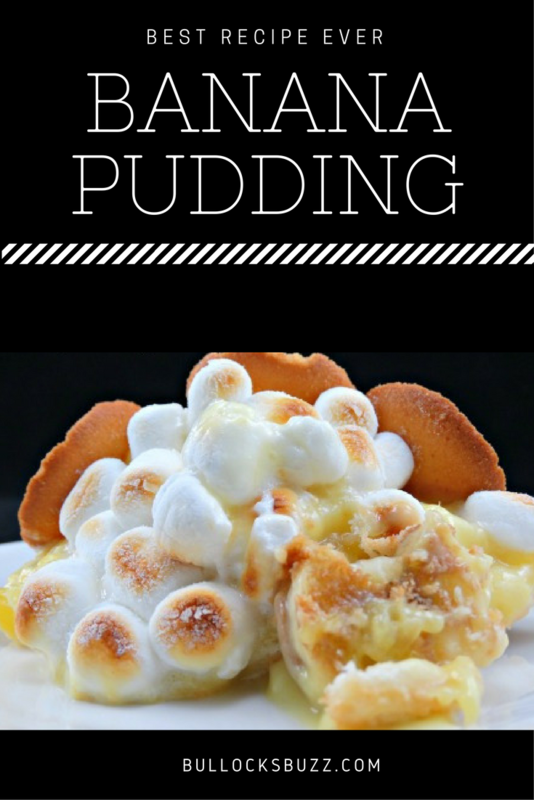 This old fashioned banana pudding recipe is luscious and creamy and uses plenty of fresh bananas. 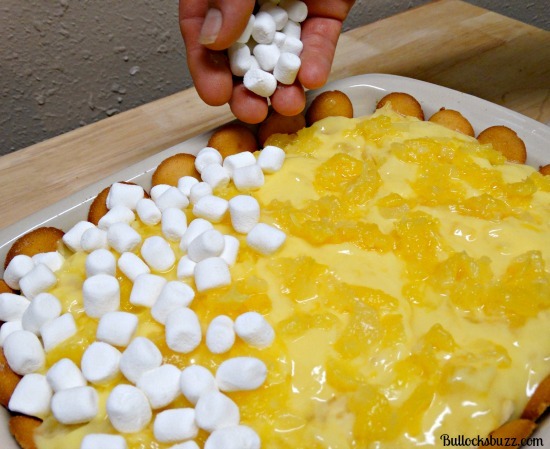 Shredded pineapple and a layer of golden-brown marshmallows ensure that this is truly the Best Banana Pudding Recipe Ever! If you take a peek at the list of instructions below, you’ll notice that it’s very short. 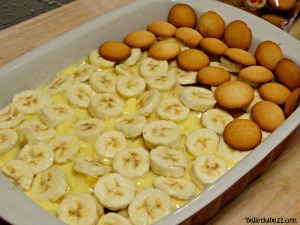 This banana pudding could not be simpler to make. And believe me when I tell you that it’s 110% better than anything you’d buy at the store too! If you’ve been looking for a genuine Southern homemade banana pudding, you have found it right here! Prepare pudding according to instructions: bringing to a boil over medium heat and stirring constantly. Once it comes to a full boil take the pudding off of the heat, and stir in 3/4 can pineapple. Place to the side to cool. 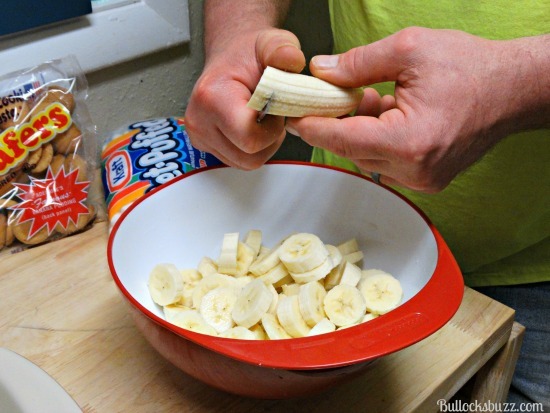 Meanwhile, cut all of the bananas into small slices in a large bowl. I like to keep mine around 1/4″ in thickness. arrange half of banana slices over the top of the wafers. Pour about one-third of the cooled pudding and pineapple mixture over the top of both layers. I usually use a ladle to help spread it around evenly. 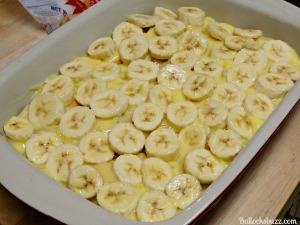 Begin a second layer, only this time start with the other half of the bananas. Top that layer with the final layer of vanilla wafers, standing some of the wafers up against the sides of the dish in order to make a frame around the edge. I usually have a few banana slices left and will place them on top of the cookies now. Then pour the remainder of the pudding on top of the layers. 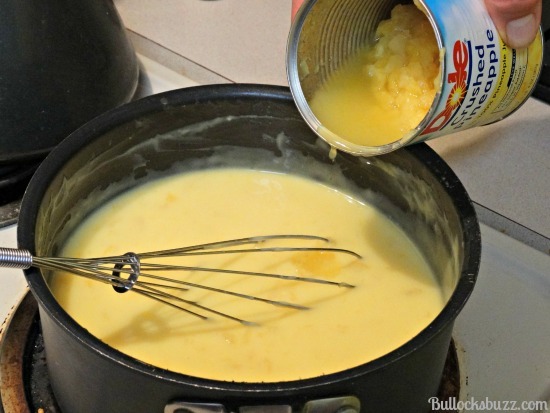 Using a fork, take the remaining crushed pineapple and spread it evenly across the top layer of pudding. Finally, add a layer of miniature marshmallows on top of it all. Now place the pudding in the oven (set on broil) just long enough for the marshmallows to lightly brown. This doesn’t take very long; maybe 45 seconds to a minute-and-a-half, so be sure to keep an eye on it. Once the top of the marshmallows have a lovely golden brown color, remove from the oven and let it completely cool to room temperature. Serve and enjoy! 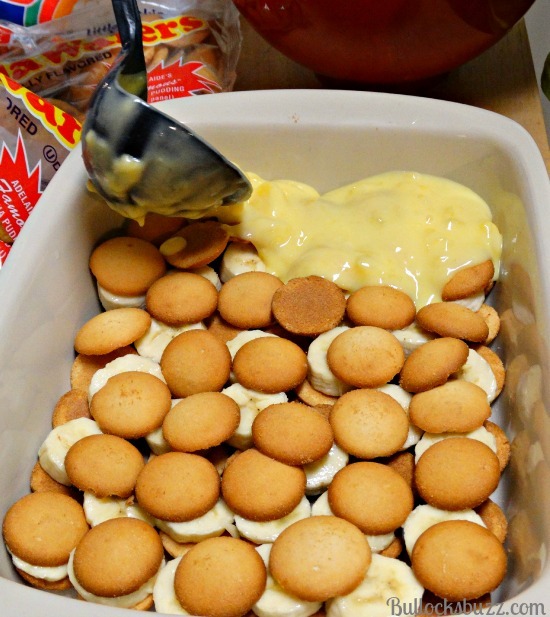 The leftover banana pudding can be stored in the refrigerator. 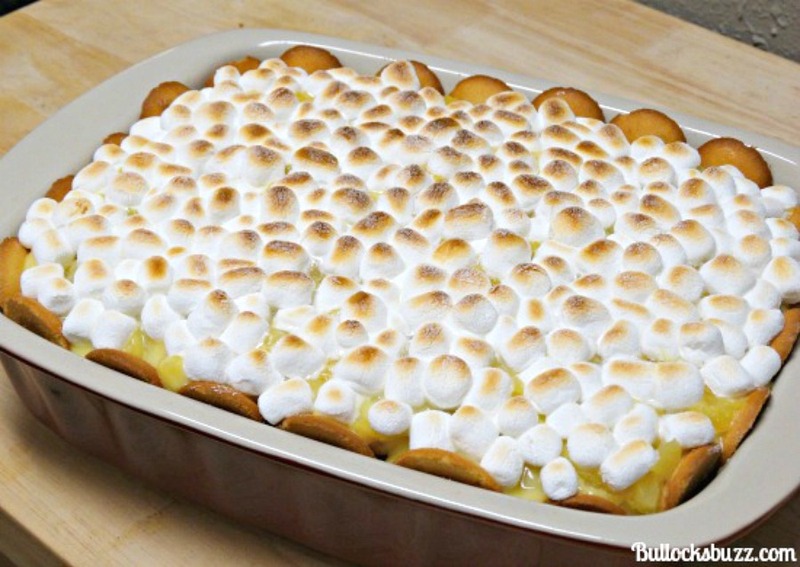 I hope you find that this truly is the best banana pudding recipe ever. Go make it now, then leave a comment below letting us know what you think. 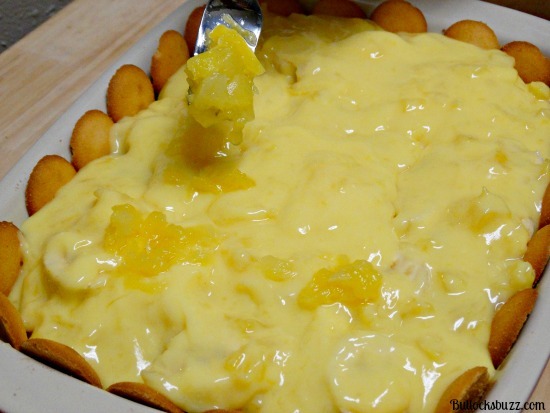 A luscious and creamy old fashioned banana pudding recipe. Prepare pudding according to instructions: bringing to a boil over medium heat and stirring constantly. Once it comes to a full boil take the pudding off of the heat, and stir in 3/4 can pineapple. Place to the side to cool. Meanwhile, cut all of the bananas into small slices in a large bowl. I like to keep mine around 1/4" in thickness. 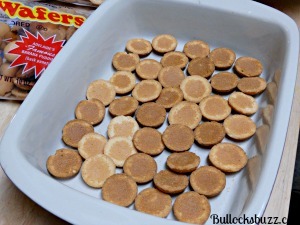 Next, line the bottom of a 8.5 x 11-inch baking dish with one-third of the vanilla wafers. 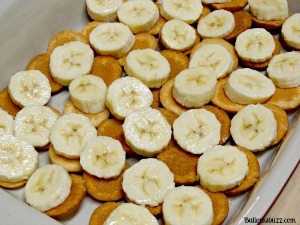 Then arrange half of banana slices over the top of the wafers. Pour about one-third of the cooled pudding and pineapple mixture over the top of both layers. Begin a second layer, only this time start with the other half of the bananas. Top that layer with the final layer of vanilla wafers, standing some of the wafers up against the sides of the dish in order to make a frame around the edge. Place any remaining banana slices on top of the cookies. Then pour the remainder of the pudding on top of the layers. Now place the pudding in the oven (set on broil) just long enough for the marshmallows to lightly brown. This doesn't take very long; maybe 45 seconds to a minute-and-a-half, so be sure to keep an eye on it. Once the top of the marshmallows have a lovely golden brown color, remove from the oven and let it completely cool to room temperature. oooh this looks great! But I’m not sure if we have this same round vanilla wafers you used here! Shall go hunt them down!